Move over summer, school bells are ringing in a new year! When early morning alarms have you feeling foggy, it’s important for families to be prepared and organised for another hectic round of school activities. Families are faced with new organisation challenges with meal planning, frenzied calendars and growing homework piles. Our experts are here to help keep busy family lives straight. Calendar Central – Sort through the calendar chaos by creating a one-stop-shop for family schedule maintenance. Colour code each family member to make it easier to read. Routine – Don’t neglect meal times and sleep. 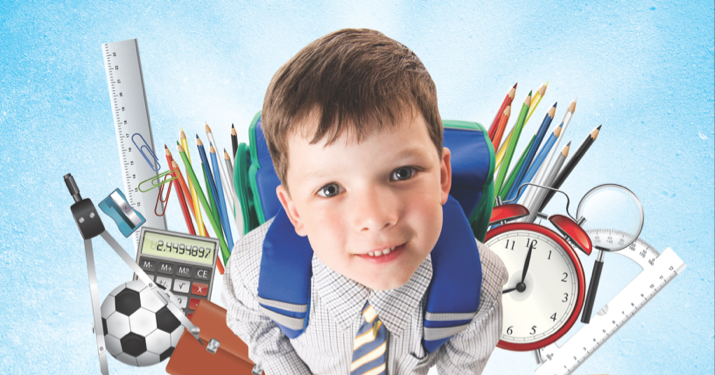 Establishing routine meals and sleep schedules will ensure your family is fuelled up for demanding school tasks. Plan the Night Before – Avoid morning madness by scanning and laying out meals, clothing, sports bags and backpacks the night before. You’ll be out the door in record time when everything’s ready at hand. Shopping Lists – Be a savvy shopper and plan before you shop. Make seasonal lists to take advantage of sales. Go Digital – You don’t have to frantically sort through files and piles of paper anymore. Scan and consolidate all documents, reports, records and certificates in digital form for ease of access. Can’t wait for a break? December 6, 2015 dameonjamie Comments Off on Can’t wait for a break?